Background: I’m going on a round-the-world (RTW) trip this summer. This is one of a series of blog posts providing additional details. 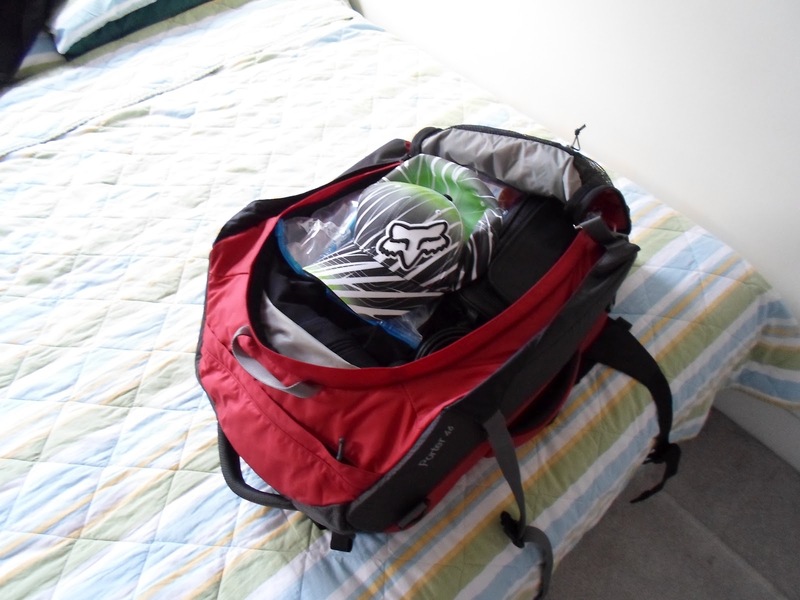 This particular blog post talks about packing for the trip. Like the other #rtw2012 posts, this one is long and detailed. It’s as much for my own recollection years from now as for anyone else. If you’re bored, insomniac, or packing for a trip yourself, you might enjoy it. I tend to travel light anyways, so that’s my default. If possible, I want to avoid checking luggage in, since it tends to get lost. Particularly for this kind of trip, where I’m hopping between cities, countries, and continents on an ongoing basis, lost luggage would be a disaster. Take less than you think you’d need. Particularly for normal items (toiletries, simple clothes, etc.) you can buy them as you go along. Lay everything out and consider cutting it in half. Think about buying local clothing in some places, using it for a few days, and then discarding it. Besides lowering your luggage weight and size, this also has the side benefit that you look more like a local. You might not pass for one, but you will be slightly less likely to get harrased. Depending on where you’re going and the season, think about quick-drying clothes. I happen to be traveling to southeast Asia in June, which is very hot in some places (Bangkok, Delhi) but quite mild in others (Tokyo), and then I go way further north (e.g. St. Petersburg) later on in my trip. Overall it’s a great time of year to travel to these places, but I expect a bunch of heat and humidity in selected areas. I don’t plan to give up my sports, either. Specifically, I plan to participate (not just observe) some unique local sports, such as judo, sumo, sepak, kayaking, and muay thai. I also plan to be walking a lot, and I don’t want to do so with my “large” pack full of everything. The need for a lighter, smaller day pack becomes clear. Finally, perhaps unusual for this kind of trip, and not covered in most packing guides: I also plan to go to several “fancy” restaurants, bars, lounges, and night clubs. While very few of them absolutely require a suit, jeans + jacket is my default look, the one I plan to use much of the time at night, depending on the place, so I need a jacket anyways. And some Michelin-starred places do ask for a suit. I don’t want to feel out of place at Sukiyabashi Jiro or Noma. After a bunch of reading, some closet inventory, a couple of trips to REI, EMS, and City Sports, here’s my packing list. 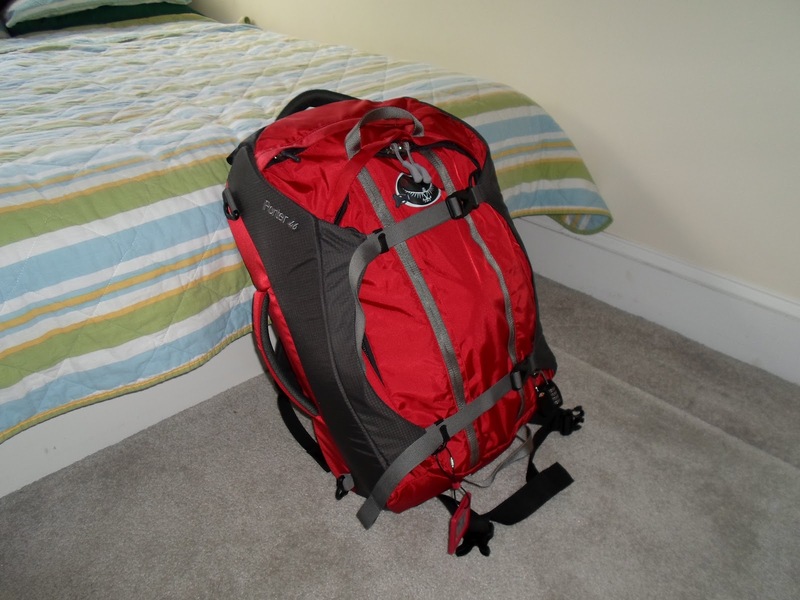 Outer / main pack: Osprey Porter 46 (2012 model, in Crimson). Love the convertible nature from backpack to relatively sleek-looking carry-on, and I love my other Osprey products. The Deuter Futura line was a close second. Inside that / day pack: CamelBak Rim Runner (2012 model, in Dark Navy / Orange). I love how tight it compresses, packs flat, has tons of inside pocket, and the hydration pack should be useful on long walks. I’ve actually been using this pack in my workouts a lot, loading it with 30-40lbs of weight and running, walking, rowing, doing the stairmaster with that extra weight. Both of these are fairly technical packs with lots of options for compression and attachments. It’s worth your time to actually read the pack manual. Basics: 4 pairs of underwear (quick-drying), 4 pairs of under-shirts (I love my Under Armour Heat Gears, these rock, highly recommended), 4 pairs of socks (Puma low-rises, perforated, quick-drying as well, which I can use with my dress shoes too). 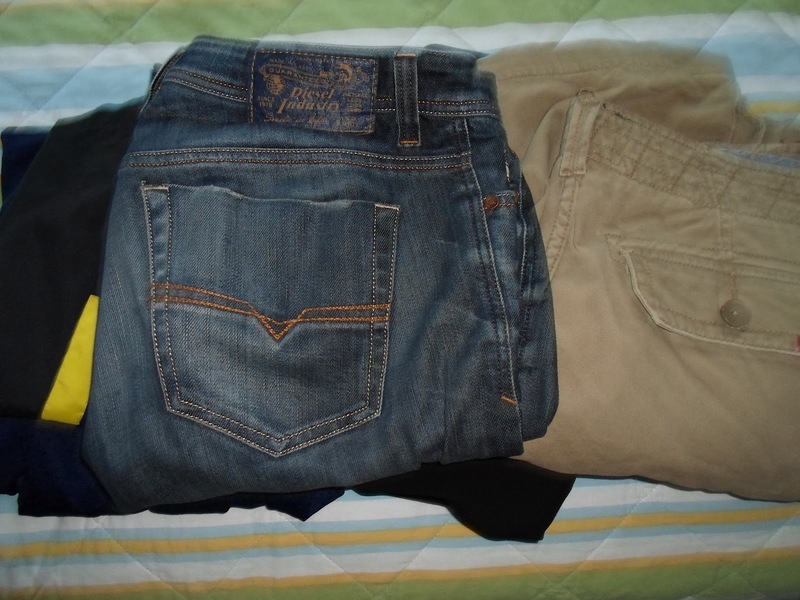 Pants: 1 pair lightweight running shorts, 1 pair athletic shorts (can use for anything, including sleeping and swimming), 1 pair of khaki-type shorts (lots of pockets), 1 jeans (my main pants), 1 suit pants. Shirts: 4 t-shirts, 2 dress shirts, c’est tout. Shoes: 1 pair sneakers (I love, love, love my new Adidas Zeros. They are so light! But don’t use them unless you have good running posture and stride), 1 pair dress shoes. Note: no flip flops. I never wear them, even to shower, even in semi-questionable places: deal :). Misc clothing: 1 baseball hat, 1 pair of cheap sunglasses, 1 bandanna, 1 suit jacket to go with the above pants, 1 belt, a normal toiletry kit, 1 heavyweight resistance band. (Thanks to @ChrisKeller, @ItaiBoublil, and @ElenaH13 for the exercise gear tips. ), 3 PackLite towels, 1 4L watertight stuff sack, laundry sheets, soap sheets, my wrist watch (not my normal one, I’m taking my mountaineering one, a Suunto Core All Black). Electronics: my iPhone (for emergencies and as a backup camera), my iPad (for reading on the Kindle app as well as local research), a slim, cheap, high-megapixel camera (Samsung ST76), extra memory cards for the camera (they’re microSD, so they’re tiny), chargers for everything, 1 set of global Apple adapters, 1 pair of in-ear headphones, 1 Mophie Juice Pack Air for the iPhone (this is awesome, h/t @aenbar), an armband for the iPhone for running. 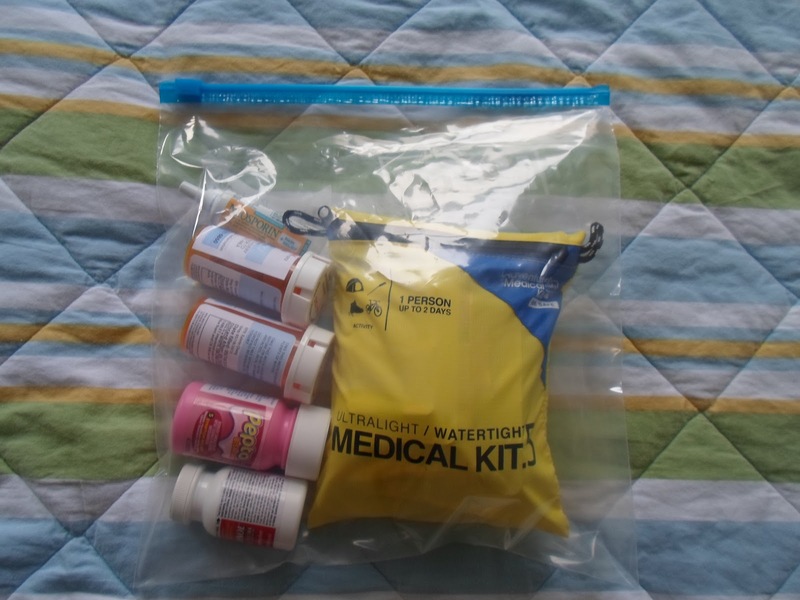 Meds: a lightweight mountaineering individual kit containing all the basics, augmented with prescriptions for Cipro and Malarone (malaria), tablets for Pepto Bismol, Immodium, Tylenol, neosporin gel, and band-aids of various types (particularly blister-related). Also, a gel stick of high-strength DEET. Finally, in a waterproof ziplock bag, I have backup copies of my passports, my itinerary, some emergency cash, and extra ziplock bags. The total weight all in the bag is 9kg or just under 20lbs. Not bad for 3+ months of traveling around the world. I’m pretty sure I’ll find that I’m missing something, and I’m equally sure I’ll be able to purchase it locally. I’m just about as sure that I’m taking too much and will discard some things on the trip. Stay tuned for an update during or after the trip.